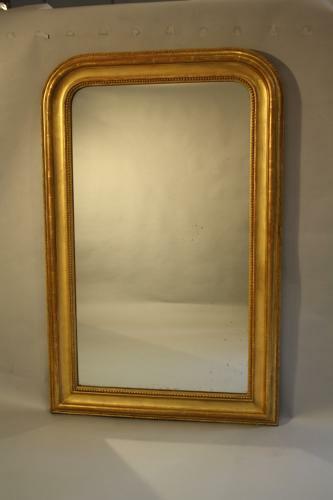 An elegant shape and classic soft gold gilt archtop overmantle with original mercury glass mirror plate. A lovely sparkly mercury glass mirror plate with some very small age spots throughout. French C19th.